Going to the NASA Social for Orion’s First Launch! Woo-hoo!!! I’ve been accepted to cover the first launch of NASA’s Orion spacecraft on December 3rd! The event is a NASA Social – much like the one I attended last year to cover the LADEE launch from Wallops Island, VA. This time the spacecraft is Orion and it will be launching from Cape Canaveral Air Force Station in Florida, but the good folks at NASA have arranged meetups at NASA centers around the country to get an inside preview. Lucky for me, I’ve been selected to cover the event at my old stomping grounds at NASA’s Goddard Spaceflight Center in Greenbelt, MD. It will be cool to get back there and see what’s new, tour the facilities, and hopefully get a good look at the James Webb Space Telescope under assembly. But the main event is the maiden flight of the Orion spacecraft itself, which actually won’t be until early the following morning. As you probably know, the United States has been hitching rides to the International Space Station aboard Russian Soyuz spacecraft ever since the retirement of the Space Shuttles in 2011. NASA has been developing a new manned spacecraft – Orion, which looks an awful lot like the Apollo spacecraft last flown nearly 40 years ago. But whereas Apollo was designed to take astronauts to the Moon, Orion is designed to take astronauts to the Moon, an asteroid, Mars, or anywhere Congress decides to pony up the dough for. But like any new vehicle, it eventually has to be tested in actual spaceflight, and that’s where the Exploration Flight Test 1, or EFT-1, mission comes in. The mission is pretty ambitious for a first outing. Not only will the spacecraft’s re-entry and thermal protection systems be tested, but it will do so from a much higher altitude and at a far steeper angle than current spacecraft. The Space Shuttle and Soyuz return from the International Space Station from low-Earth orbit at the relatively “low” speed of 17,500 miles per hour. 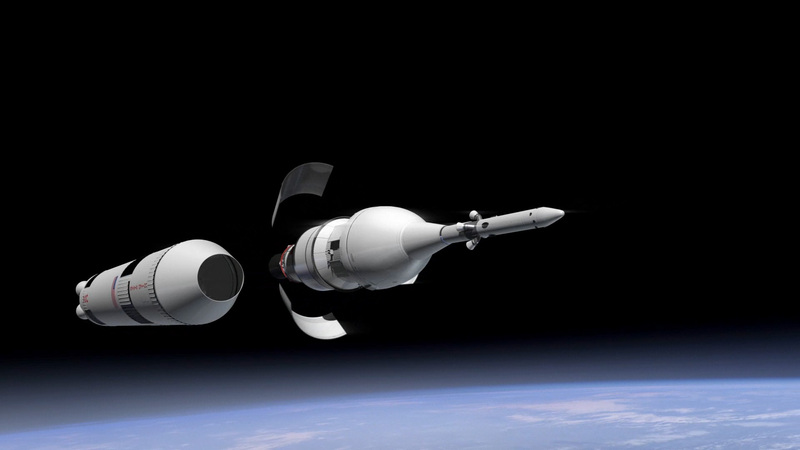 Orion will eventually be returning from the Moon (or beyond) at much higher speeds. To simulate that, EFT-1 will send Orion much higher up to re-enter at a considerably higher speed. I’m sure I’ll be getting more into the weeds on this later, but for now I’m jazzed about visiting Goddard again and attending the NASA Social. Hopefully we’ll wake up the next morning and see Orion liftoff for the first time. Go Orion!